By LUDWIG VON KOOPA - They're trying to cover-up the Nintendo Labo's actions. We shine the light of truth. In the midst of all of the controversies and news in the last week, between the delay of the Nintendo Direct, the controversial Nintendo Direct itself, not to mention the uproar over Nintendo Switch Online (more about that in tomorrow's article), there was a product release that happened on Friday that wasn't just a new version of Splatoon 2. The Nintendo Labo: Vehicle Kit launched on Friday, now in retail stores everywhere. Not many people seem to be paying attention to that, but we at KoopaTV can't let this moment slip by. Not with what we already know about the threat of the Nintendo Labo: Vehicle Kit. DON'T OPEN THE BOX. TOLD EVILS (untold if you aren't a KoopaTV reader) EVILS LURK WITHIN. 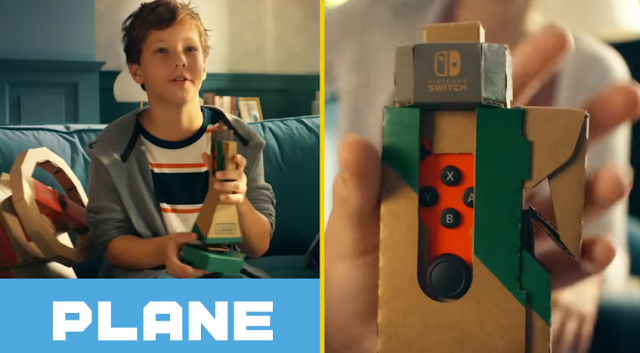 The Nintendo Labo Vehicle Kit allows the included pair of Toy-Con Keys to venture out and hijack any vehicle, whether it be a car, a plane, or a submarine. In short, nothing is safe and the world is in danger the more of these things are manufactured. That's why Nintendo doesn't want to put too much attention to the Vehicle Kit's release — why call attention to the fact that you're helping destroy the world with grand theft activities on a massive scale? Think back to that Horizon Air plane hijacking I wrote about, which was done by someone named Richard Russell who spent a long, long time learning about how to fly a plane via flight simulators. Now imagine that on a widespread, constant, simultaneous scale with that knowledge acquisition process bypassed with the instant gratification of the Toy-Con Key. This little twerp can easily use the Toy-Con Key (pictured to the right) to take control of a PLANE. No Microsoft Flight Simulator needed, and just like Richard Russell, he's off doing barrel rolls. Isn't it obvious what's happening here? The first kit, the Variety Kit with its RC Cars, Motorbike, House, Piano, and Fishing Rod, enables the cardboard forces to have light reconnaissance abilities, along with a fortress as the House. A home base. And they don't have to build their own fortress, but they can take over someone else's, like the Koopa Bros. Fortress. The second kit, the Robot Kit, allows the cardboard army to be able to possess and generate giant killer robots that also possess people (powered by Bonneters). And now the third kit, the Vehicle Kit, not only prevents you from fleeing this army by land, air, or sea, but also uses transportation to its own advantage to rapidly expand the Labo's area of dominance. The whole software component of the Vehicle Kit involves taking over mountains, cities, and ruins. Civilisation and culture are in grave danger. It's a beachhead strategy of establishing a presence, subduing it, and then expanding from there to conquer everything else. And don't forget that the Internet isn't safe, either, as KoopaTV personally knows. By the way... It's not just your world, but it's my world, too. 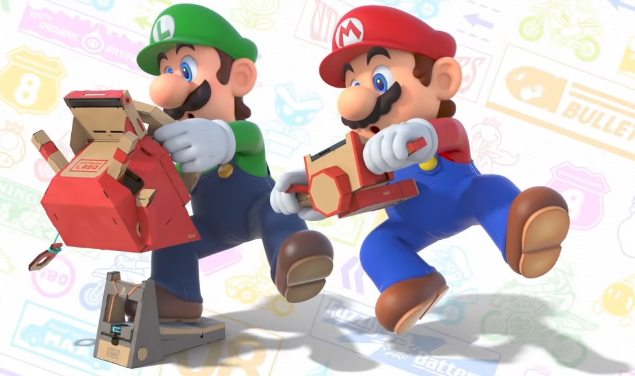 It's not just the Labo and Cappy teaming up, but Mario and Luigi are also co-conspirators in making Mario Kart very dangerous by involving the Labo. It wouldn't surprise me if the fourth Labo kit is Nintendo Labo: Bomb Kit. That's where they're going with this. When you put Bomb Kit and Mario Kart together, it reminds me of when the Central Intelligence Agency attempted to assassinate Waluigi a year and a half ago. They worked together with Mario and remotely controlled Waluigi's Mercedes-Benz to explode into a palm tree. That's... exactly the kind of thing that the Nintendo Labo: Vehicle Kit can do. Could the CIA's technology actually come from the Nintendo Labo? ...Or could the Nintendo Labo actually come from the CIA's technology? Well, we don't know yet. Regardless, Mario is the common thread through all of this, interacting with the CIA, with the Bonneters, with the Labo... And the subjugation of vehicles is a common theme. The only organisation in the universe that is trying to stay on top of this grave threat is KoopaTV. The Labo already tried to shut KoopaTV down by turning it into LaboTV, but KoopaTV fought back and won. KoopaTV is the only organisation that can claim that. If you want to do more than just be afraid, then YOU need to support KoopaTV and everything KoopaTV does. Share KoopaTV articles. Comment on them. Perhaps even a financial contribution? KoopaTV has several staffer positions open as well. You can also help by destroying all Labo you see. The Labo strike a vehicle that's not part of a kit: trains. Stealth product launches go along with stealth price cuts. 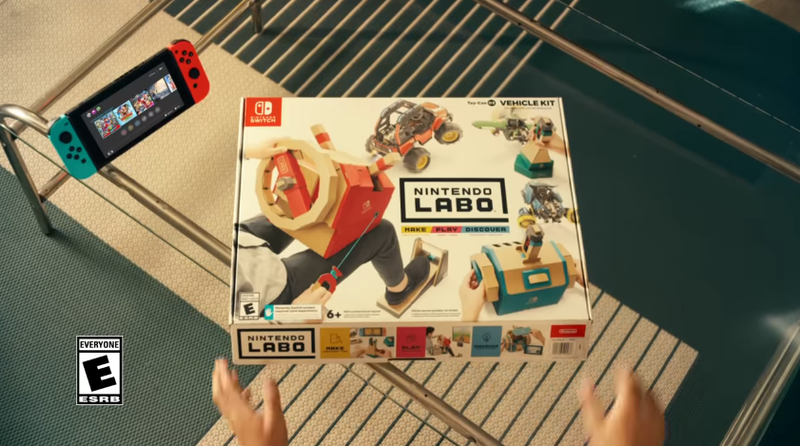 We know what the fourth Labo kit is, and it's not a bomb. Mario, Cappy, Labo... all teaming up with Virtual Reality. I hope that the vehicle kit fails tremendously like its predecessors just so the bomb kit is never released. I just could not imagine the chaos that would pursue if these things were sold in stores. There would be riots everywhere and thousands dead in the aftermath. Waluigi was trying to warn us about the dreaded launch of the Labo, but Mario and the CIA took him down before he even got a chance to. The world would be a much safer place if he was still with us. May his soul rest in peace. And don't think for a moment that what happened to Waluigi and his... status in Super Smash Bros. Ultimate aren't connected.